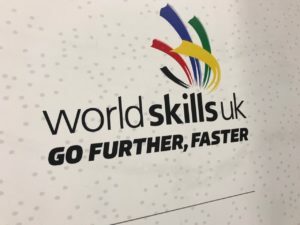 Formally known as ‘The Skills Show’ the nation’s largest skills and careers event ‘Worldskills UK Live’ has celebrated yet another successful event. Visitors were greeted by ‘Have a go experience’ ‘Spotlight stages’ and expert careers advice, covering many sectors and workplaces. The Worldskills UK national finals awarded medals and the chance to represent the UK in International competitions for the young professionals and apprentices that took part in competing in a range of skilled events. The event provides inspiration, guidance and opportunities to all in attendance, cementing its popularity and growing attendance. Gainsborough Events Management Ltd have developed a trusted and accomplished relationship with the Worldskills UK Live Team, with a well-established Team of staff being formed, each with a wealth of event knowledge and experience. Staff work closely alongside the NEC Venue staff, ensuring the safety and experience for all attending. Worldskills UK Live has become a firm favourite in the Gainsborough calendar and the Team look forward to continuing to build upon the relationship.